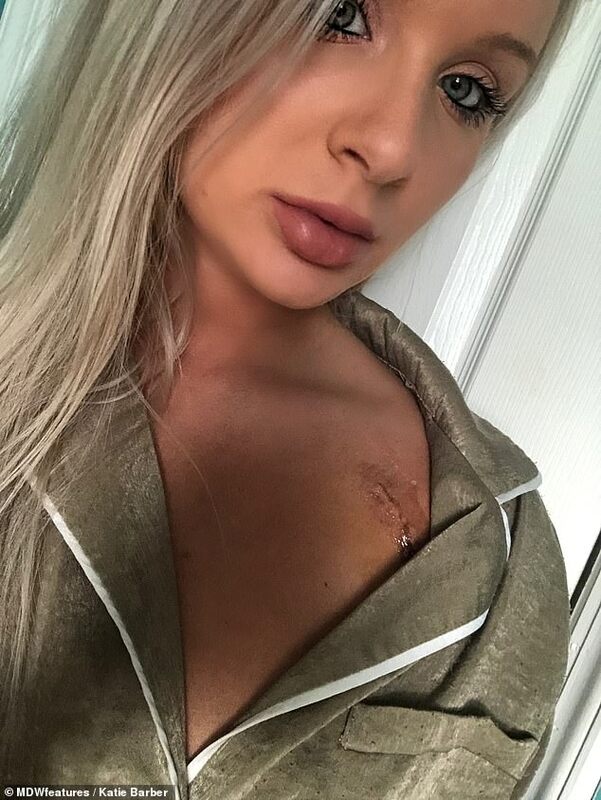 A nurse who self-diagnosed herself with a blood clotting disorder has revealed she was fitted with a pacemaker at 25 because of another sinister heart problem. Katie Barber, from Long Island, began experiencing shortness of breath after just walking upstairs as well as pain in her leg. Doctors confirmed Ms Barber’s own beliefs that she had deep vein thrombosis and a clotting disorder called Prothrombin gene mutation. 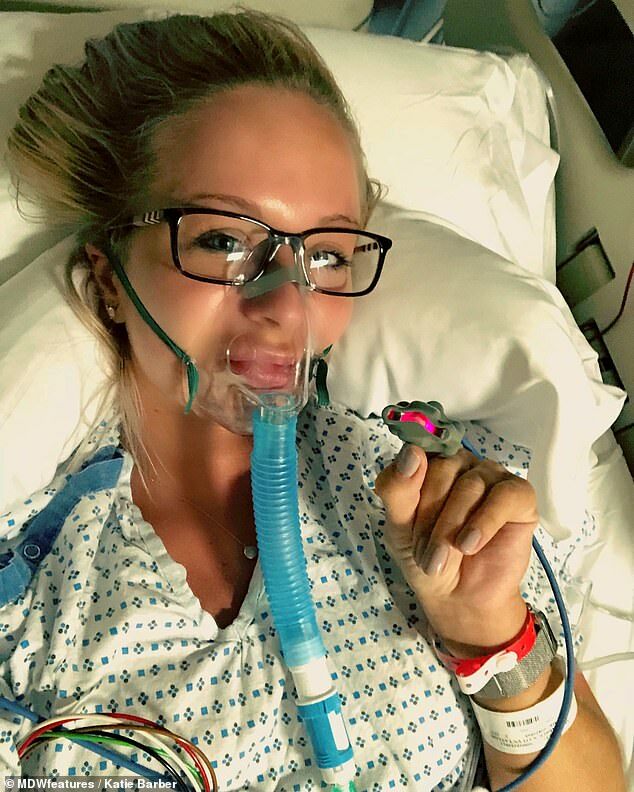 This condition, coupled with her recent surgery for gymnastic injuries, was causing blood clots throughout her body, making it difficult to move. But while having physical therapy, Miss Barber was having episodes of dizziness that would leave her unable to stand. 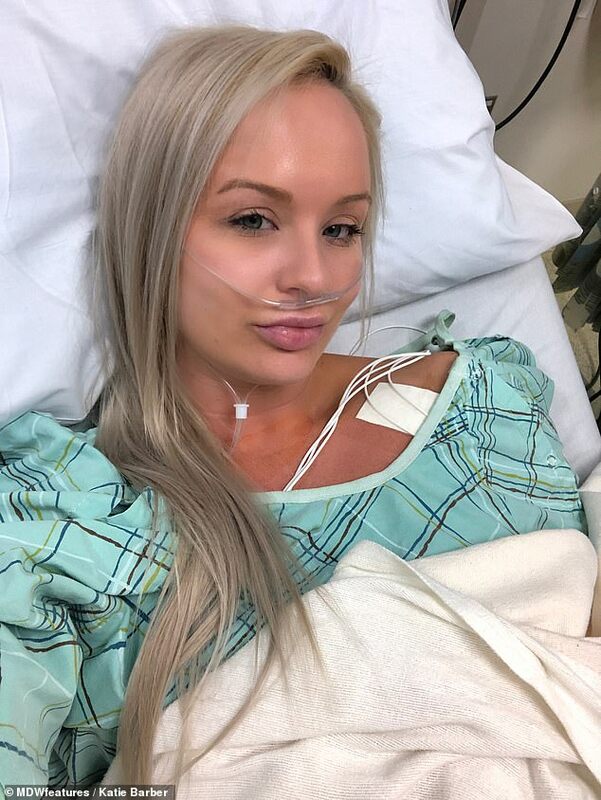 In the hospital, scans revealed she also had an abnormal heart rate, diagnosed as junctional rhythm, which had caused a fluid build-up in her lungs. There were no other options for Miss Barber other than to have a pacemaker, which left her feeling deflated considering she treated patients with them who are typically over 75 years old. Miss Barber, who had her pacemaker fitted this month, said: ‘Being 25 years old, I was hesitant to get a pacemaker, but the unpredictability and symptoms associated with this abnormal heart rhythm was significantly affecting my lifestyle. ‘I was very nervous and honestly, angry. I wondered why these things keep happening to me. ‘Whenever I thought I was improving, something else seemed to interfere with my recovery. WHAT IS HEART DEFECT SUCH AS A JUNCTIONAL RHYTHM? The term ‘arrhythmia’ refers to any change from the normal sequence of electrical impulses. The electrical impulses may happen too fast, too slowly, or erratically – causing the heart to beat too fast, too slowly, or erratically. A junctional rhythm is normally slow — less than 60 beats per minute. When faster, it is referred to as an accelerated junctional rhythm. Normally, the heart’s most rapidly firing cells are in the sinus (or sinoatrial or SA) node, making that area a natural pacemaker. Cells in the heart’s conduction system can fire automatically and start electrical activity. This activity can interrupt the normal order of the heart’s pumping activity. Secondary pacemakers elsewhere in the heart provide a “back-up” rhythm when the sinus node doesn’t work properly or when impulses are blocked somewhere in the conduction system. The heart’s natural pacemaker develops an abnormal rate or rhythm. Miss Barber was a talented gymnast as a child and was always active. 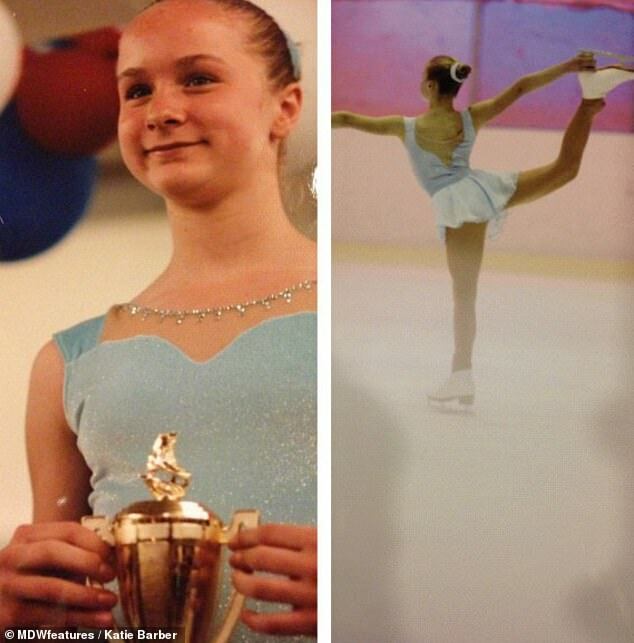 At the age of 13, Miss Barber fractured the growth plate of her right hip while on the tumble track, and in 2018, a CT scan revealed a torn labrum, caused by gradual wear and tear. Miss Barber said: ‘My orthopaedic surgeon felt that, over time, bone degeneration led to wear and tear injury of my right labrum. But a month into her recovery she was experiencing shortness of breath, and with her own background in nursing, Miss Barber began self-diagnosing. She said: ‘I was regaining strength when I noticed shortness of breath while climbing the stairs. Being a nurse, I started to wonder if this could be deep vein thrombosis (DVT) or pulmonary embolism (PE). ‘I never thought something like this would happen to me, but I went to the hospital just to be safe. Well, I’m glad I went because it turns out I had a right leg DVT with bilateral PEs. ‘I was found to have a clotting disorder called Prothrombin gene mutation that causes my body to favour clot formation. 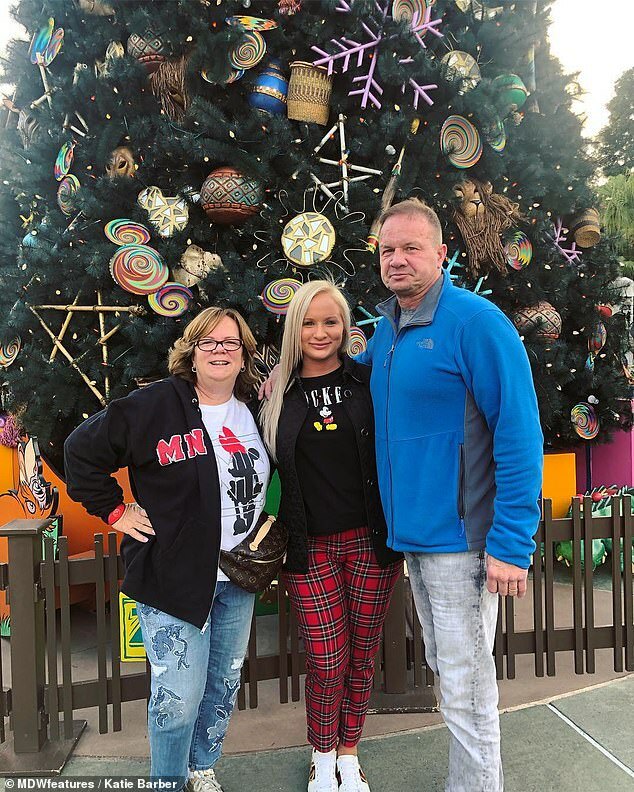 After spending weeks in physical therapy, Miss Barber was experiencing bouts of dizziness, so by September 2018 she returned to the hospital. 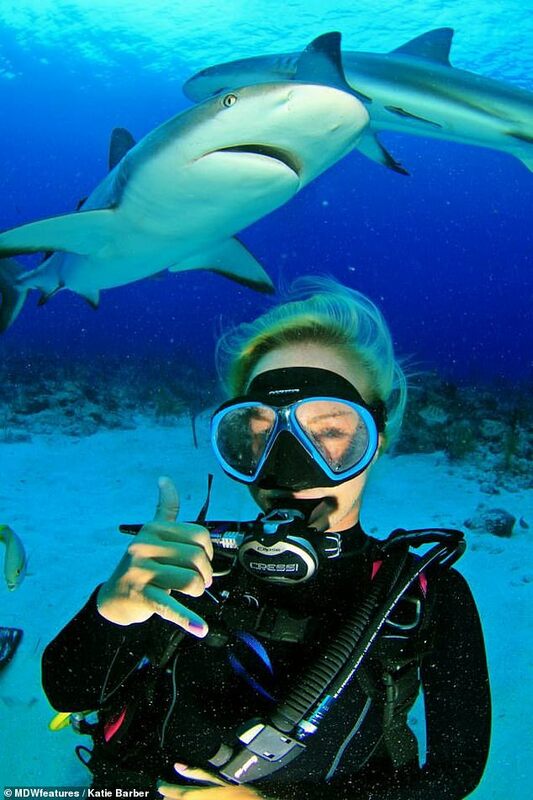 She said: ‘I was in physical therapy and on the road to recovery when I met another obstacle. ‘I noticed these sudden episodes of dizziness that would come and go. Sometimes they could happen daily and last the entire day, other times I could go a week or two feeling fine. After her diagnosis of a heart defect, Miss Barber was kept in hospital for eight days receiving IVs due to low blood pressure. Miss Barber tried various medications to avoid a pacemaker because of her young age, but inevitably there was no better option. A pacemaker consists of a generator which is a small device placed in a pocket under the skin and connected to the heart with one or two thin wires. It sends small, painless amounts of electricity to the heart to make it beat. Miss Barber said: ‘Initially, my doctors wanted to try adjusting medication to avoid pacemaker implantation in such a young patient, but it was my next and only option. ‘By February 5, 2019, I was ready to get my life back, so I had a Medtronic Azure pacemaker placed. ‘As a cardiac ICU nurse, I’m accustomed to seeing patients with pacemakers. Most are much older, but there are a fair share of younger patients also needing these devices. Now, Miss Barber hopes to show that pacemakers aren’t solely for older patients, as she had once thought. She said: ‘When I told people I was getting a pacemaker, or now when people find out I have one, they’re shocked and often tell me I’m too young for one. It gets a little frustrating to hear that. ‘I’ve noticed more energy and no episodes of fatigue or dizziness related to junctional rhythm. Overall, the device is doing its job, and I no longer have the fear of dizzy episodes.